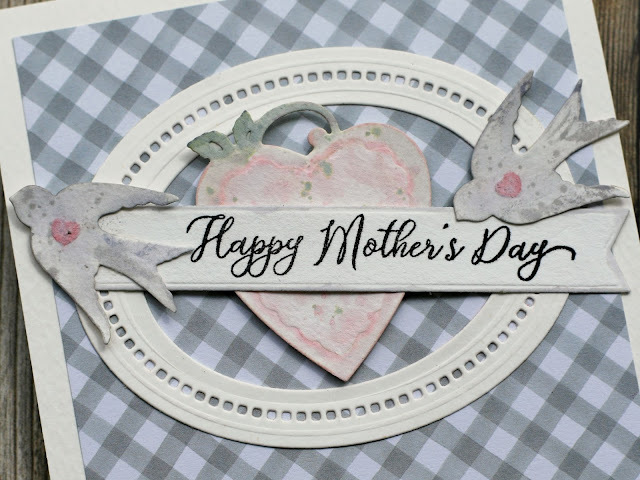 Another design for a special day in the near future...Mother's Day! Today's project features Stamp Simply Ribbon Store clear "All Occasions Set One" stamps and Fishtail Sentiment Banner dies...along with additional dies from Spellbinders! Spellbinder Die D-Lites "Swallow and Heart" die set was used to created these sweet vintage birds, along with the heart motif. 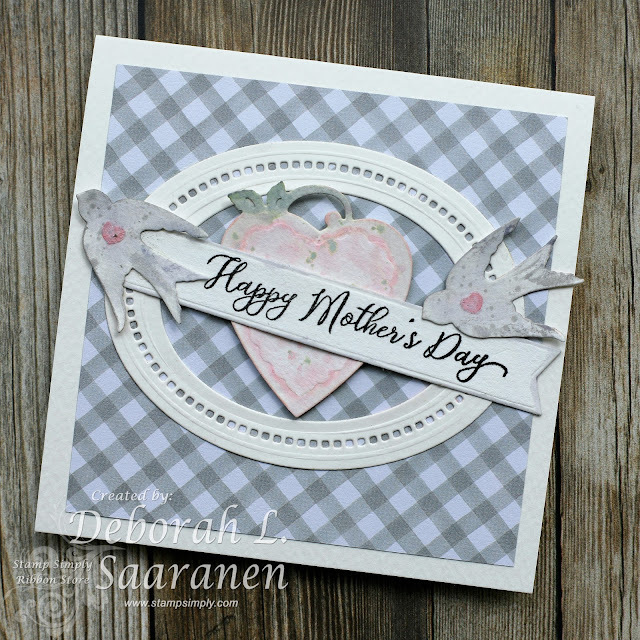 I die cut them from Ranger Watercolor paper, then painted them in subtle colors using Tim Holtz Distress Oxide inks. I simply rubbed the ink pads on my Ranger Craft Mat, sprayed them with Tim Holtz Distress Spray bottle, then used a paint brush to shade and spatter the birds and heart. The background paper is My Mind's Eye "Gingham Farm" and is layered over a watercolor base. Loving this paper pad...the colors are muted and prints, this gingham print is a gray/sage green. A frame made with Spellbinder's Hemstitch Ovals and Classic Oval dies highlights the watercolored pieces. 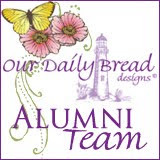 The sentiment is stamped with Versafine Onyx Black ink onto watercolor paper using a Tonic Stamp Platform, then die cut with a Stamp Simply fishtail banner die. A bit of additional distress oxide ink edged the banner for interest. Scor-Tape, TomBow Mono Multi Liquid Glue, and Thermoweb 3D Foam pieces were used as adhesives. 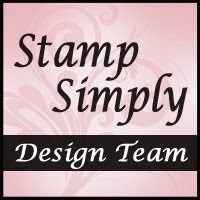 All linked supplies are from The Stamp Simply Ribbon Store. Hi Deb! I think this is so lovely! I just love that particular oval die! I would use those birds all of the time, too! Thanks so much, Traci! I love the vintage appeal of these dies too!